It's a little tricky to navigate their catalog, but if you can get your order in, it's well worth it. I ordered a rockii Tree Peony 'Angel Emily' from them last year, and it is doing very well this year. It has grown quite a bit, and the foliage is a beautiful green with no blight. I can't wait to see it's flowers! 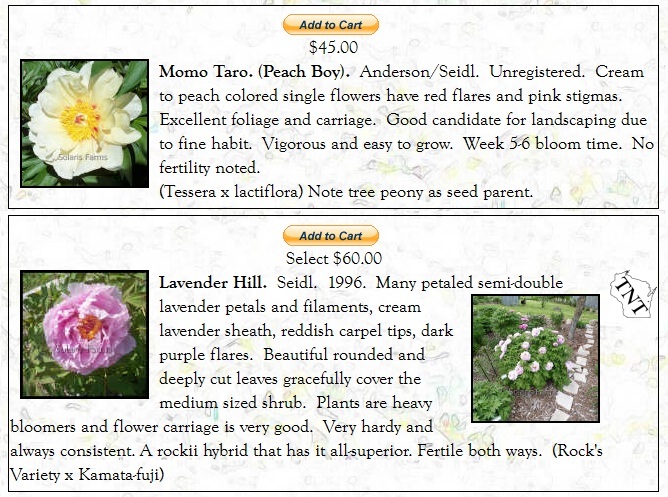 This year I ordered Intersectional Peony 'Momo Taro'. I haven't seen this one offered anywhere else. It says it is an unregistered seedling. I am curious to see how this intersectional peony grows and flowers. Its description says is supposed to be a good landscaping plant. I think I mostly ordered it for the name (and maybe the color too). Momo Taro means Peach Boy in Japanese. I went to a local Japanese festival here a few years ago, and they had a storyteller that actually told this story. Momo Taro is a well know Japanese children's story, and the storyteller was very good at telling it. So the peony's name actually brings back a happy memory for me. 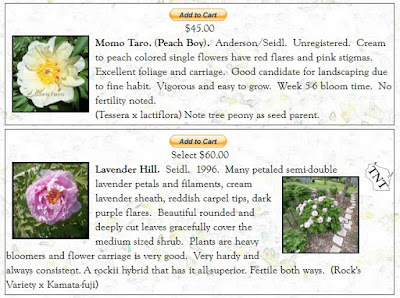 :-) I also ordered rockii Tree Peony 'Lavender Hill'. Since purple is one of my favorite colors, I am excited to try to use this one for hybridizing in the future since the description says it is fertile both ways. 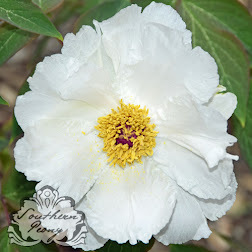 If you haven't gotten your peony order in yet for fall shipment, time is running short. 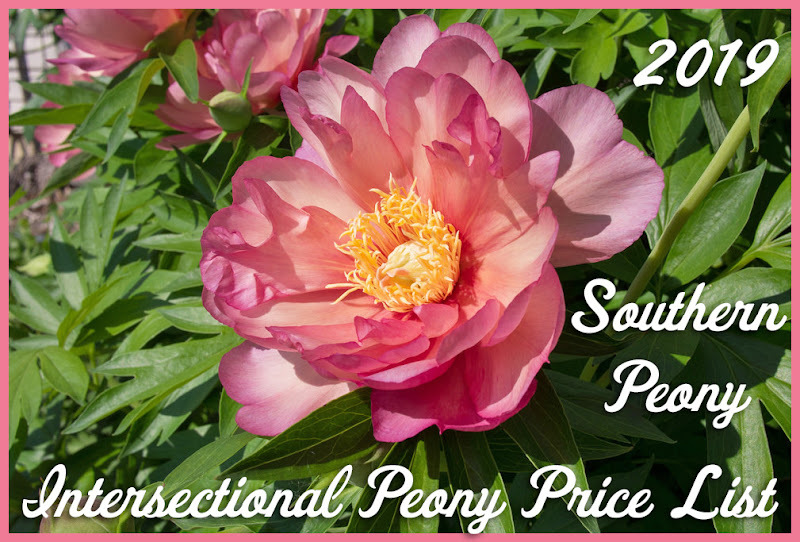 Check your favorite peony vendor's inventory for availability for fall shipment!